Hello everyone, This post is all about my favourite Beatle ever. George Harrison. So, a couple of days ago I saw some photo's of George on Instagram and of his first wife Pattie and I began to question as why I have never taken much notice into him. I am a huge fan of The Beatles, I started to like them when I was 16 which is 7 years ago now. I've always been a McCartney and Lennon fan. I think it is because they wrote the songs, but do not get me wrong I always loved Ringo and George too. Without them they would not have been The Beatles right? The complete four, the best band to ever exist! 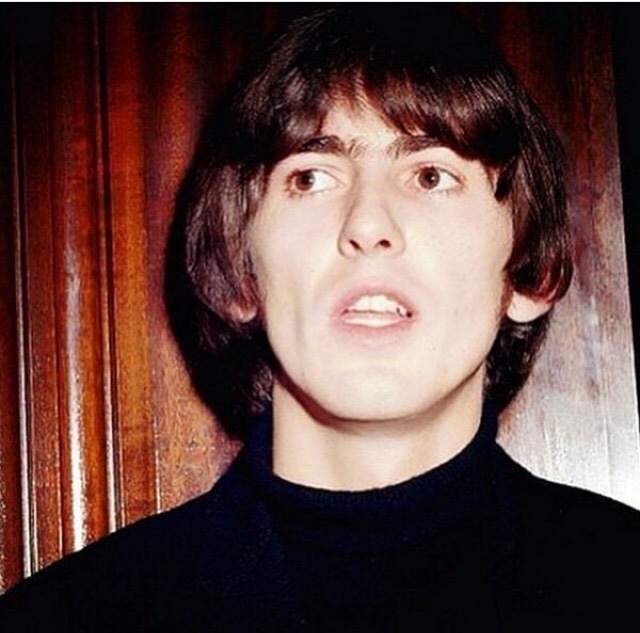 Since I saw some coloured and black and white photo's of George Harrison I have been loving him and all my followers seem to be enjoying the fact I have started posting some photo's of him. I also love the 60's era too. I wanted to write a blog post on him but I had no idea what to right, no one wants to hear facts on The Beatles or facts on George Harrison because everyone knows who is and I am pretty sure the majority of people know something about the band. I know I do! I have asked myself why I have not posted pictures of The Beatles before or done something on each one? I have not and this one on George is going to be my very first! I am pretty excited about it. This post is going to consist a few facts and pictures. It's going to be a good way for me to learn about George as I do not know a lot about him. This makes me sad. George's favourite colour was purple. He loved Formula One racing, egg sandwiches and watching Monty Python's Flying Circus on TV. His favourite movie was Mel Brook's The Producers (1967). 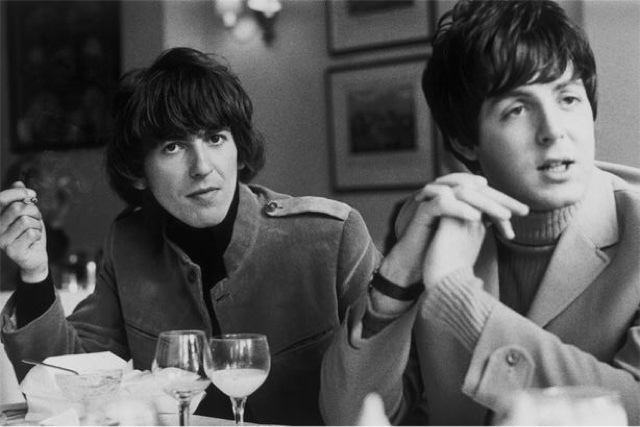 George and Paul McCartney were the first two Beatles to meet. The two rode on the same school bus in 2954. Paul was 12; George 11. Before this, George and John Lennon had gone to the same primary school for three years but never met. He officially joined The Beatles ("The Quarrymen") on February 6, 1958. He was only 14 at the time. George briefly changed his name to "Carl Harrison" in honour of his idol, Carl Perkins for an early tour of Scotland in 1960. George's "first time" was with a German prostitute in Hamburg. He was 17. 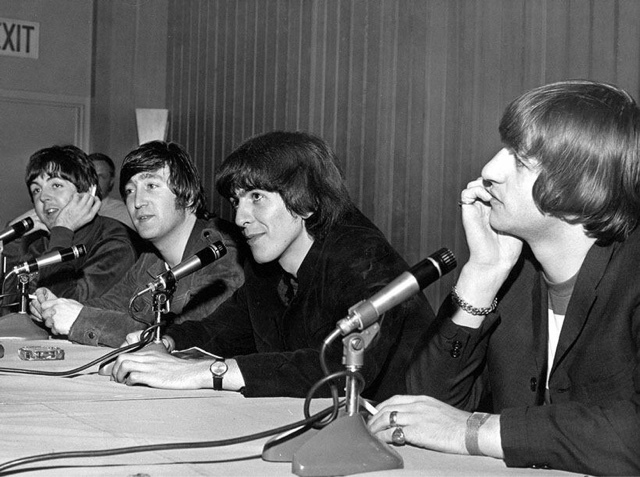 After the act was finished, the other three Beatles (John, Paul and then-drummer Pete Best) applauded heartily. George didn't know they were in the room. George was the original Beatle composer. 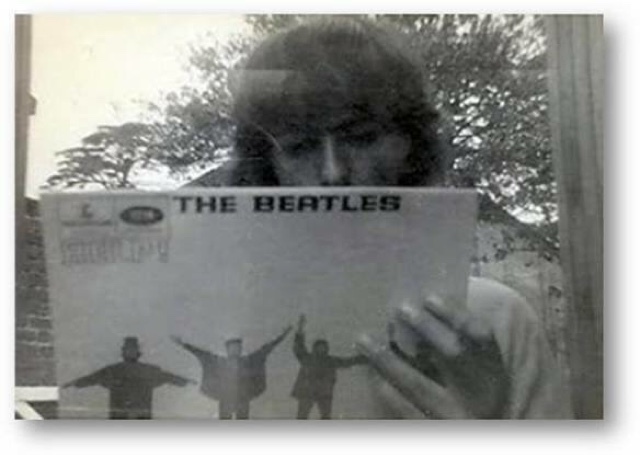 Although everyone knows John and Paul composed a great majority of the classic Beatles songs, George actually co-composed the first two Beatles songs on record. 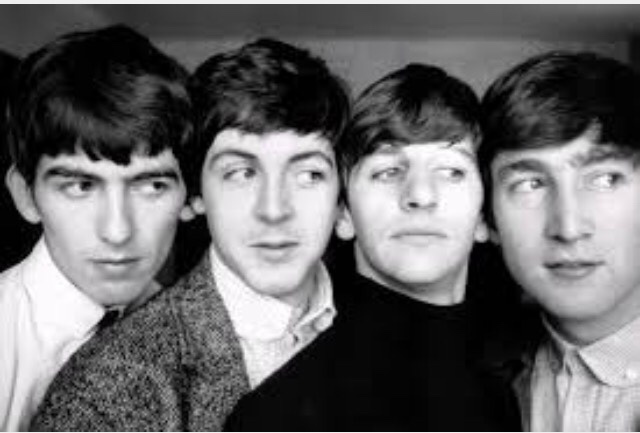 In 1958, at their very first recording session, the Beatles (then called "The Quarrymen" played the Paul McCartney-George Harrison song "In Spite of All the Danger". In their next early recording session in 1960, the band played a John Lennon-George Harrison instrumental called "Cry for a Shadow". A versatile musician, George played 26 different instruments. Every Beatles fan knows George could play the guitar and sitar. But he was also well accomplished on the conga drum. the African drum, the xylophone. violin, harmonica, marimba and glockenspiel. As we all know, George passed away from cancer in 2001. His mother, Louise had previously died of the disease in 1970. George wrote the song "Deep Blue" in her honour. His dad, Harry Harrison also died of cancer in 1978. The night of his fathers passing, both George and his wife Olivia in bed and viewed the same blue light. They both testified they saw a vision of Harry smiling at them. Here are some of my favourite pictures of George.